Joni Casey, executive director of the Intermodal Association of North America, said intermodal volumes were at 12.6 million loads through August, up about 7% year-to-date over last year. Casey made the remarks here at IANA’s Intermodal Expo 2018, before more than 2,000 representatives of the transportation and intermodal communities. “We’re meeting at a time of economic growth. GDP and consumer spending are up. This translates into more freight and bodes well for intermodal volumes,” Casey said. Bill Strauss, senior economist and economic adviser with the Federal Reserve Bank of Chicago, told attendees the economy is in its 10th year of expansion and has been growing at a rate of 2.3% since 2009. If growth continues through July 2019, “it will get us to a new record level of expansion,” he said. The third-party logistics sector is also experiencing growth, and Evan Armstrong, president of Armstrong & Associates, estimates the global 3PL market will grow to $968 billion this year. That compares with $869 billion last year. “In the U.S. we’re going to wind up around $200 billion — about 8% growth over last year,” he said. From 2016 to 2017, the dedicated contract carriage segment grew 10.2% in net revenue to $15.4 billion as shippers worked to secure capacity. “The more complex a supply chain gets, the better it is for 3PLs,” Armstrong said. Non-asset freight brokers grew 16% in terms of gross revenues to $71.7 billion, but net revenues increased 6.4% to $10.4 billion, he added. 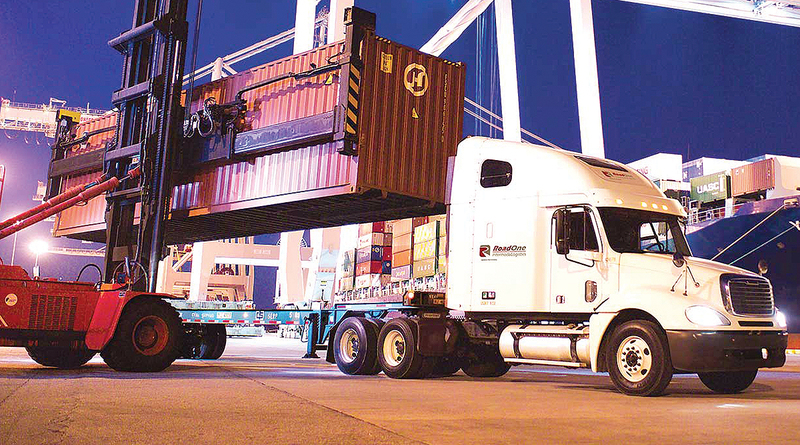 The use of freight brokers varies by the size of the shipper, Armstrong explained. “The larger the customer, the more likely they are to contract 70 to 80% of their freight needs and use freight brokers for 20%,” he said. “We are having some truck-to-intermodal conversion to get capacity, but things are very tight,” Armstrong said, adding that while there are thousands of freight brokers to choose from, there are a limited number of Class I railroads. David Ross, managing director of equity research, global transportation and logistics for St. Louis-based Stifel, said labor capacity is creating a bottleneck within the trucking industry. “We have all of the trucks we need to move freight — 5% to 10% of trucks are parked right now, because they can’t find drivers,” he said. Ocean carriers are experiencing a peak season “much greater than everyone expected” in the Transpacific, but capacity, not demand, is the driving factor, said Lars Jensen, CEO of SeaIntelligence Consulting, based in Copenhagen. He told attendees he expects to see a balance between global demand and global supply in 2021. Risks to the economy remain, with most of them being foreign-led, such as activity in Asian economies and issues in Europe with Brexit, as well as challenges in the Italian economy, Strauss said. Larry Gross, president of Gross Transportation Consulting, based in Durango, Colo., said intermodal freight movements may shift due to tariffs. He expects international growth to land somewhere below 6%.